The Clippers earn a 5-2 win over Winslow/Gardiner/Cony in a North quarterfinal. 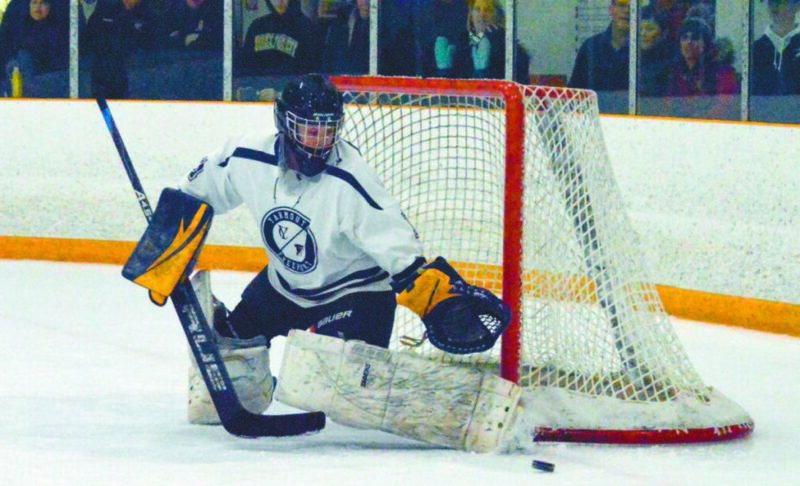 YARMOUTH — Olivia Bradford scored a pair of goals and Allie Perrotta turned away 13 shots as Yarmouth/Freeport downed Winslow/Gardiner/Cony 5-2 in a girls’ hockey North quarterfinal Wednesday night at Travis Roy Arena. The fourth-seeded Clippers will face No. 1 Lewiston at 4:15 p.m. Saturday at the Androscoggin Bank Colisee. The fifth-seeded Black Tigers end their season at 8-10-1. The two teams split during the regular season, with Winslow winning 3-2 just four days earlier. “We knew their tendencies and what to expect; we’ve had close games with them this year,” said Yarmouth Coach Megan Vaughn. The Black Tigers grabbed the momentum early, striking first when Kaitlin Fecteau took a Katie Bailey pass and beat Perrotta 1:37 into the game. “After that first goal, we were kind of like ‘we need to score some goals’ and get on the board. It kind of motivated us, you would say,” Bradford said. The lead held until the midway point of the first period, when Yarmouth’s Hannah Swift set up Margaret Perrotta for the tying goal. Black Tigers goalie Gabby Chambers (eight saves) kept the score tied with a couple saves, but with 4:13 remaining in the period, Bradford scooped up a loose puck off a Lydia Guay shot and put the Clippers (12-7) ahead. It didn’t take long for the Clippers to extend their lead in the second period. Once again, Bradford found herself in the middle of the action, taking a pass in front from Emma Moll and blasting it past Chambers. Whether it was good positioning or being in the right place at the right time, Vaughn liked the result. The teams traded goals in a 9-second span nine minutes into the third period. After Yarmouth’s Lilly Weinrich scored off a Kyaira Grondin assist, Winslow’s Julia Hinkley sent in a wrist shot. Moll tallied an unassisted goal minutes later. “Hats off to them, they came to play. It’s disappointing for our seniors, but we told them that’s how it goes sometimes,” Veilleux said. For Yarmouth/Freeport, a date with top-ranked Lewiston is no small task. The Clippers stayed with the Blue Devils for a period in the regular season before Lewiston took control for a 10-0 win. “If we can keep the intensity we had with them early in the game, we should be able to compete,” Vaughn said.